The muwashshaḥ is the first vocal passage in the waṣla. It is preceded by the instrumental passage that starts off the waṣla and can be a bashraf or a samā‘ī, followed by a taqsīm and a layālī, then a mawwāl and finally the dawr. Kāmil al-Khula’ī said that the muwashshaḥ was created by the Aleppans, and that despite it being the oldest, it does not start off the waṣla. Shahāb al-Dīn mentioned in “Safīnat al-mulk wa nafīsat al-fulk” that a Damascene called Shākir al-Dimashqī brought these tawāshīḥ (as he mentioned) to Egypt where the Egyptians welcomed them and took them into their art, then improved and enhanced them. 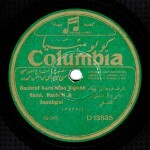 He added that these muwashshaḥāt were remnants of the ancient Arab melody in the Orient as well as of Andalusian texts. Even if the content of what Shahāb al-Dīn stated is true, it nevertheless misled many music professionals, theorists, and even musicologists into making a historical mistake: believing that these melodies were Andalusian and that they were kept in Aleppo. Some modernists call the Aleppan waṣla of muwashshaḥāt “Andalusian waṣla of muwashshaḥāt”, an unfortunately common mistake. At this point, we need to clarify the difference between the muwashshaḥ as a literary form and the muwashshaḥ as a musical form. Muwashshaḥ is not the only word with more than one meaning or more than one content. Neither is it the only term in melody implying more than one form. There are also the qaṣīda, the mawwāl and many more with a literary aspect as well as a musical aspect. The muwashshaḥ as a literary form is the one that appeared in the 9th century AD approximately. The Andalusian men of letters adopted it during the Umayyad era. It later evolved greatly during the reign of mulūk al-ṭawā’if (the taifa kings in the Iberian peninsula) namely with Al-Mu‘tamid Bin ‘Abbād, Bin Zaydūn and Bin ‘Ammār and continued to flourish after them. 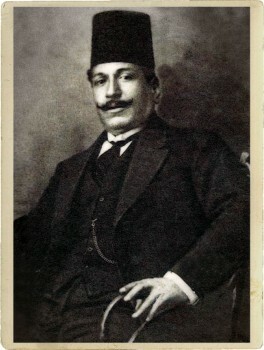 Among the Andalusian poets famous for their muwashshaḥāt was Lisān al-Dīn Bin al-Khaṭīb. It is said that the nawba –the equivalent of the waṣla in Andalusia whose duration is of almost an hour– is based on one muwashshaḥ from beginning to end. We do not know how its melody was composed, what were the fixed and the improvised passages, or if there were any instrumental intervals. However, all these issues are of no interest to us now since we are discussing the muwashshaḥ as a musical form that appeared and blossomed in Aleppo during the 17th century. 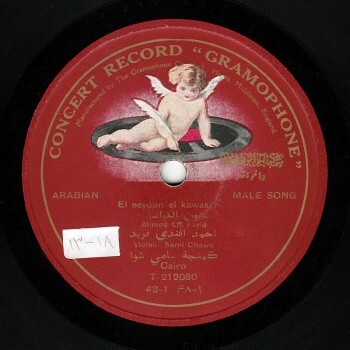 The text of this musical form may be a part of a muwashshaḥ written in Andalusia, of a qaṣīda written in Baghdad, or a text written in a mix of classical Arabic and some dialect, such as in numerous muwashshaḥāt including terms and sometimes sentences in colloquial Egyptian or Damascene. The muwashshaḥ is not restricted to a strict unchangeable form. And of course, our discussion addresses the musical form of the muwashshaḥ, not its literary form. This form was developed throughout the ages. It seems that it originally started as a basīṭ form –a form in the Abbasid era–, and became the bastah in both the Iraqi and the Turkish traditions. It is one same melody that is repeated with different lyrics. It sometimes includes the hank (“Āh” or “Yā lēl” or “Āmān” …etc). 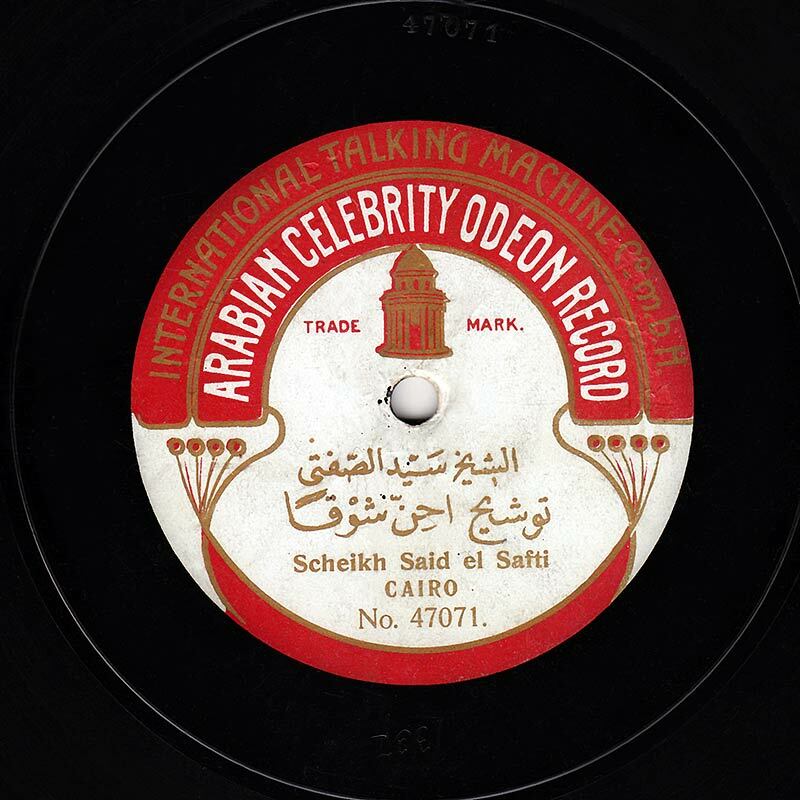 Let us now listen to Sheikh Sayidd al-Ṣaftī accompanied by Takht Odeon with Al-Hāj Sayyid al-Suwaysī (‘ud), ‘Abd al-‘Azīz Afandī al-Qabbānī (qānūn) and ‘Alī Afandī ‘Abduh Ṣāliḥ (nāy), singing the muwashshaḥ “Aḥinnu shawqan”: the oldest and most famous muwashshaḥ in the basīṭ form. It is composed to the rāst maqām, suznak sub-maqām, and the maṣmūdī kabīr rhythm (8 pulses). The recording was made by Odeon around 1906 on one side of a 27cm record, order # 47071, matrix # EX 1337. First dawr: a melody that may include tarannum or not. When it does not, it is limited to one or two lines of poetry. Second dawr: a repetition of the first dawr with different lyrics. If the first dawr includes a tarannum, then so does the second one. If the first dawr does not include a tarannnum, then neither does the second one. Khāna or māyt khāna: another melody with new lyrics. It can either be equal in length to one of the adwār, or double its length, thus equal in length to both put together. Also, if both adwār include a tarannum, then this tarannum is repeated at the end of the khāna‘s melody. If they do not, then a tarannum is composed especially for the khāna, improvised by the performer, or bypassed to go directly to the khātima (conclusion). Usually, the khāna’s melody allows for responsorial passages between the munshid (performer) and the biṭāna, i.e. the improvisation resulting from the khāna’s melody followed by the taslīm in repeating part or all of the khāna as a pre-conclusion. The khārija: the repetition of the first dawr’s melody –that is the same as the second’s– with new lyrics. The melody is either repeated in full –which is the usual process–, or repeated partially –in some exceptions– then considered as a conclusion to the piece. Let us listen to ‘Abd al-Ḥayy Afandī Ḥilmī with Takht Sāmī Afandī al-Shawwā, Muḥammad Afandī Ibrāhīm and ‘Alī Afandī ‘Abduh Ṣāliḥ, performing the muwashshaḥ “Hāt yā ayyuhā al-sāqī” –abiding by this form– to the sīkāh maqām, rāḥat al-arwāḥ sub-maqām, maṣmūdī kabīr rhythm (8 pulses) recorded by Gramophone in 1909 on one side of a 30cm record, order # 012422, matrix # 1743c. There is another type of muwashshaḥ that appeared with the Nahḍa (Arabic Renaissance) school and seemingly invented by Muḥammad ‘Uthmān who was influenced in this experience by the samā‘ī instrumental form. Despite the fact that the samā‘ī had started as a vocal form in Turkey, it reached Egypt as an instrumental form. 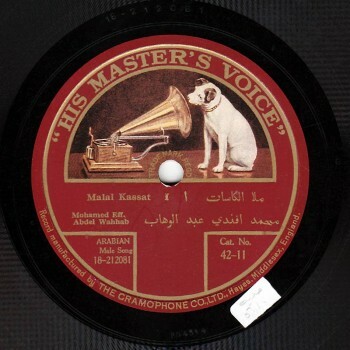 Muḥammad ‘Uthmān was influenced by the instrumental form, not by the vocal form. Muwashshaḥ “Malā al-kāsāt” as an example resembles the samā‘ī bayyātī thaqīl in its content: 4 khānāt to the samā‘ī rhythm (10 pulses) including a lāzima. All the khānāt and the lāzima end with a taslīm from and to the bayyātī maqām. The same goes here for muwashshaḥ “Malā al-kāsāt” consisting of 4 khānāt that include a lāzima and a taslīm from and to the rāst maqām (which is the maqām of the muwashshaḥ). However, Muḥammad ‘Uthmān added a new type of tarannum in the third khāna resembling the dawr’s hank with an improvised dialogue between the performer and the biṭāna. 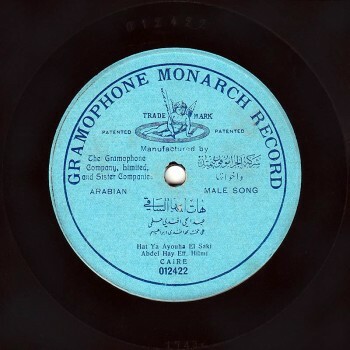 Some performers started ending the muwashshaḥ without the forth khāna such as the undoubtedly most famous recording by Muḥammad Afandī ‘Abd al-Wahāb with Takht Muḥammad Afandī al-‘Aqqād and Sāmī al-Shawwā, recorded around 1923 by “His Master’s Voice” record company stemming from Gramophone, on both sides of a 25cm record, order # 18-212081 and 18-212082, matrix # BD 4514 and BD 4515. 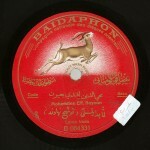 15 years earlier, this same company had made a recording of Sheikh Aḥmad Ṣābir. 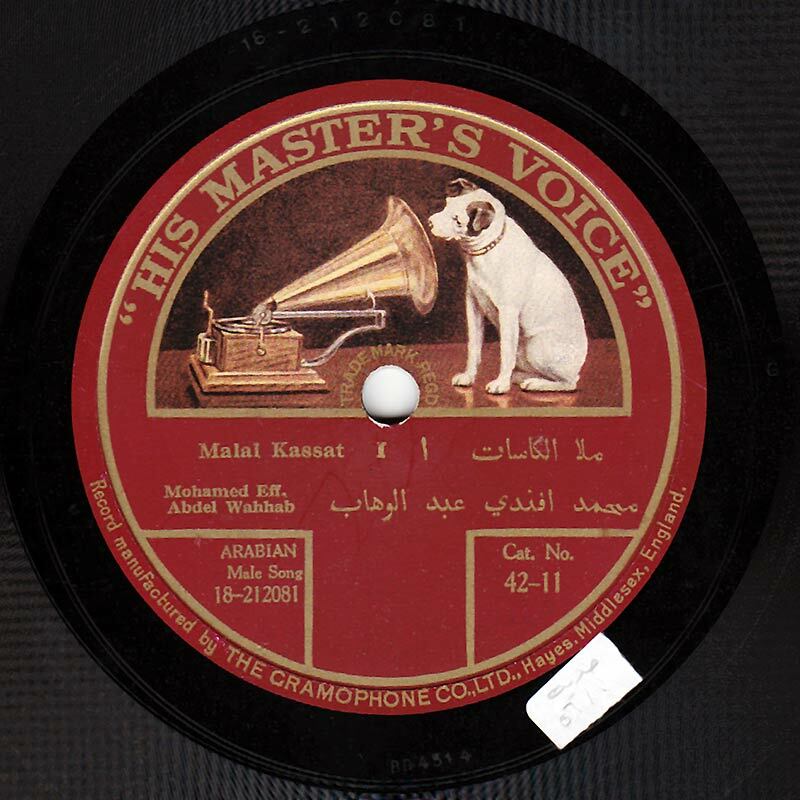 Although this recording is on one side of a record with the same capacity of the above mentioned record, it includes the complete melody of the muwashshaḥ, i.e. with the forth khāna. 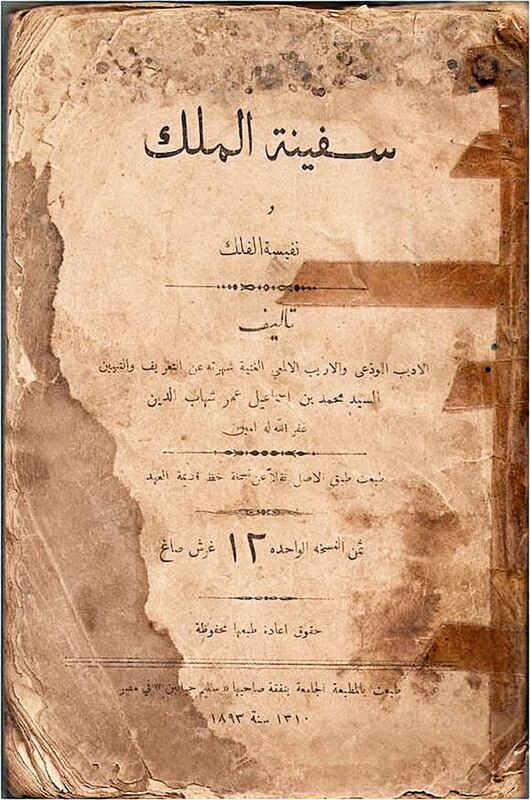 Sheikh Aḥmad Ṣābir –with Takht Muḥammad Afandī Ibrāhīm, Sāmī Afandī al-Shawwā and ‘Alī Afandī ‘Abduh Ṣāliḥ– had recorded it as a reference free of any improvisations or dialogues. The record’s order # is 6-12123, matrix # 77460. We will listen to both recordings consecutively following their chronological order. The muwashshaḥ‘s role in the waṣla of the Nahḍa period differs from its role in the pre-Nahḍa waṣla that lasted on in bilād al-Shām (the Levant) namely in Aleppo. The Aleppan waṣla of muwashshaḥāt is based on a series of interlinked muwashshaḥāt. According to Shahāb al-Dīn, it starts with the murabba‘ – a muwashshaḥ to the murabba‘ rhythm (13 pulses)– followed by different rhythms up till the fast muwashshaḥāt to the dārij rhythm (3 pulses). Sometimes these muwashshaḥāt include taqāsīm and layālī mursala (of non-metric measure) or ‘ala al-waḥda in addition to qaṣā’id mursala or Baghdādī mawāwīl. The muwashshaḥ remains the basis of this waṣla. Music libraries, various radio stations, and the web are all rich with various waṣlāt by many great muṭribīn. If we had more time, we would have listened to some. However, our episode today is about the muwashshaḥ as a form. Let us go back to Muḥammad Shahāb al-Dīn and his “Safīna” as a conclusion to our episode. 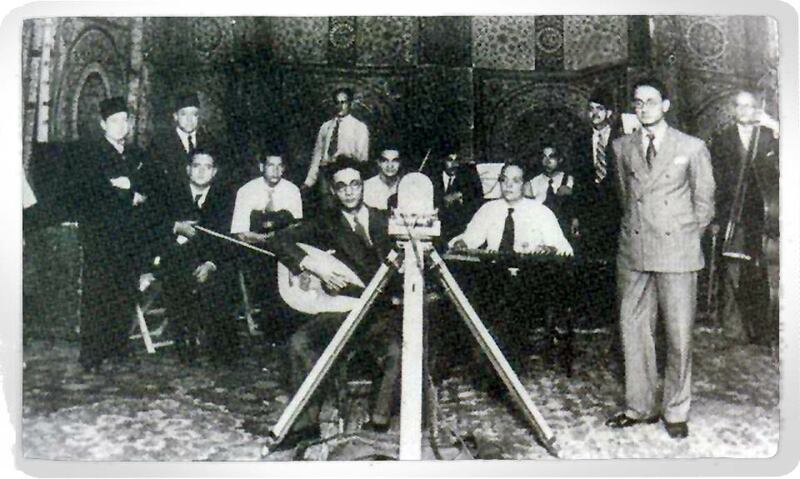 If the rumor were to be true, then we would be in possession of the remnants of a piece dating back to the 15th century by Shams al-Dīn al-Ṣidāwī, a great music professional, a composer and a singer whose contemporaries considered to be the most knowledgeable among the period’s music professionals as to the principles of melody and singing. He also authored theory books in which he included simple melodic phrases to various maqāmāt. In his book, Shahāb al-Dīn mentioned a tawshīḥ (as he called it) he named ‘Uqdat al-Ṣidāwī. 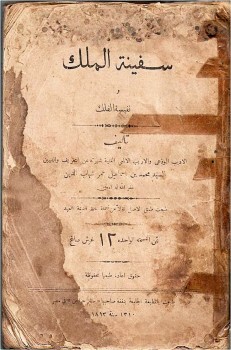 He stated that it included various khānāt to different maqāmāt and beats, and that this piece titled “El-‘uyūn el-kawāsir sābūnī” alone explained all the melodies and beats. He mentioned each of these khānāt, their rhythm and their maqām. When comparing this piece with a recording by Aḥmad Afandī Farīd carrying the same title, we note that it is consistent with Shahāb al-Dīn’s statement. But this recording includes only one dawr and one khāna of the piece to the sīkāh maqām and its sub-maqāmāt (sub-modes). The rhythm is dārij then turns into a‘raj (9 pulses) near the end of the recording. It does not go back to the dārij as it was supposed to go to a third rhythm because the recording stopped right then. This piece does not follow any of the previously mentioned forms. If our suppositions are verified, then it is undoubtedly the oldest. 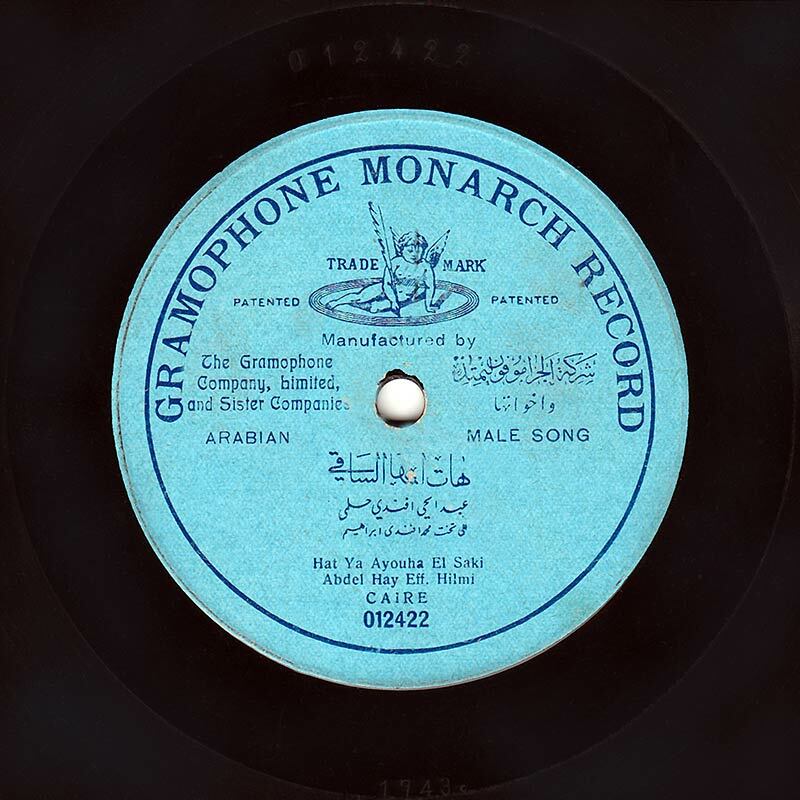 Let us listen to Aḥmad Afandī Farīd accompanied by Takht Muḥammad Afandī al-‘Aqqād, Sāmī Afandī al-Shawwā and Ibrāhīm al-Qabbānī, singing “El-‘uyūn el-kawāsir”, recorded on both sides of a 25cm record produced by Gramophone in the late 1920s, order # 7-212060 and 7-212061, matrix # 6187ak and 6188ak. Our episode about the muwashshaḥ ends here. We hope to meet with you again in a new episode of our show “Niẓāmunā al-mūsīqī” (Our Musical System).